THIS new law came into effect on 4th March 2019 after a three-month lead-in period following the signing of the legislation by President Higgins on Christmas Day 2018. It is no exaggeration to say that the new law is the most significant piece of legislation on workers’ rights passed in the last few decades. Effectively it has put the brakes on the race to the bottom by selfish and exploitative employers who abused precarious and flexible contracts of employment to control and manipulate workers by controlling the actual numbers of hours offered in any week and by doing so controlling workers’ potential to earn a wage. Ireland is now the only country in the EU where workers have a legal right to demand a new clause in their contract of employment which reflects the actual number of hours worked by that worker in the previous one-year reference period. Additionally, workers are entitled in writing to the main terms of their employment contract within five days of commencing employment and there are also very severe anti-penalisation clauses if employers fail to comply or attempt to victimise workers for asserting their rights. Employers who in the past would have reduced significantly workers’ weekly hours for spurious reasons e.g. sickness, budgets, union activity or simply because they could will now by and large be prevented from this type of unacceptable behaviour. For years workers on these totally flexible type contracts have lived in fear of losing weekly hours, losing their income and not being able to provide for the basics of life. So how did this new legislation come to pass? Simply put, by the courageous and determined collective actions of workers – in particular Dunnes Stores workers – who stood up and said, ‘Enough is enough – we demand justice and decency at work’. 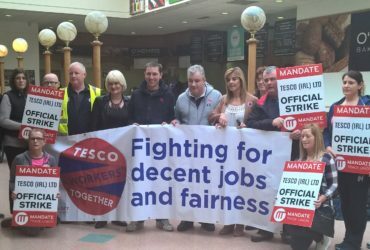 More than 6,000 Dunnes’ workers, members of Mandate, took to the picket lines in 2015 to highlight the totally unacceptable way that they were being treated by Dunnes management. They rallied over 5,000 supporters to march on Dunnes Stores Head Office to demand decent contracts and a decent living wage. 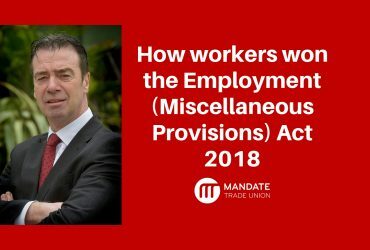 They told the story of the reality of working on these types of exploitative contracts – they won the hearts and minds of the public and they took their fight to the Dail and every politician from every party across the country. They spoke in the Dail, outside the Dail, to local politicians, to local media etc. They mounted a determined campaign, supported by Mandate, to win. They enlisted the support of progressive political parties and independent politicians in the Dail until the force of their argument was too great to ignore any longer and finally Minister Doherty announced she would be introducing new legislation to deal with exploitative contracts of employment. It goes to demonstrate the very real potential that exists in the collective strength of workers. We’ve seen it before with the Right2Water campaign – workers supported by progressive trade unions, political parties and communities can fight back against exploitation and injustice and win. Ireland is still the most unequal country in the EU and still has the highest proportion of low paid jobs of any EU country. This new legislation will not change these facts, but it will make a very real difference to the everyday lives of tens of thousands of workers. 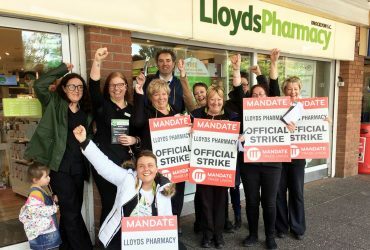 Imagine if we together could organise similarly around an all-embracing Decency Charter for Retail, a charter which at its core has a decent living wage, fair work scheduling, childcare, full-time jobs and a workers’ collective union voice at work. In Mandate we do believe that we together can win such a Charter for Decency. We believe that not only do workers deserve it, but that they have a right to it. We are calling on all workers to organise and mobilise in their union – let’s join together to win a brighter future.